It may be the last event on our Winter Series but we’ve saved the best for last! 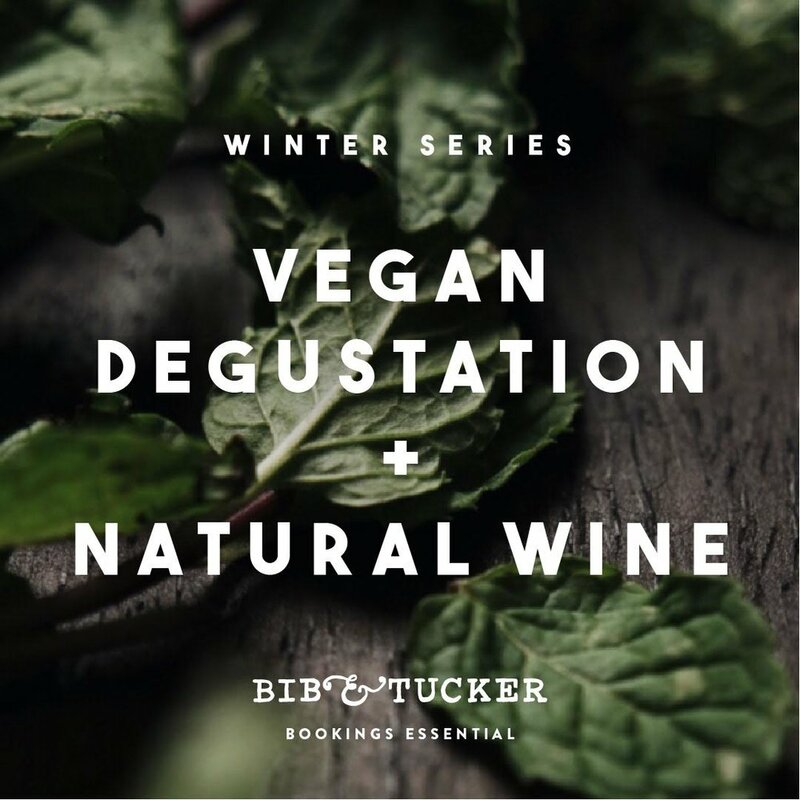 In news that will have vegans rejoicing everywhere, our Winter Series will conclude on the 11th of September with an eight-course vegan degustation paired with natural wines. Head chef Scott Bridger and the team at Bib & Tucker are taking meat-free cooking into the ether with their plant-based creations. Guests will be spoilt for choice with a series of tantalising vegan dishes unlike any other they’ve experienced before. So if you’re a vegetarian, vegan or even someone just looking for the perfect gift to give that dedicated herbivore in your life, then grab your tickets today before the last event sells out! You can purchase your tickets via our reservations page and clicking on September 11th.